Turkey President delivers a speech commenting on those killed and wounded during a failed July 15 military coup, in Ankara, Turkey, on July 29, 2016. The government crackdown in the coup's aftermath has strained Turkey's ties with key allies including the United States. Turkish President Recep Tayyip Erdogan has responded to Western calls to ease repressions following the recent failed coup by issuing an ultimatum to the EU on migrants and making a public show of reviving relations with Moscow. What exactly is he hoping to achieve? On the eve of the Aug. 9 Russian-Turkish summit, relations between Ankara and the West have drastically intensified. Turkish President Recep Tayyip Erdogan thwarted EU representatives' attempts to raise the issue of human rights violations in Turkey after the suppression of the recent coup in the harshest of manners. Turkish Foreign Minister Mevlüt Çavuşoğlu gave Brussels an ultimatum: If by the middle of October the EU does not present Ankara with a visa-free travel regime, the refugee agreement may be abandoned. Turkish officials have also accused Washington of supporting Turkish preacher Fethullah Gulen, who lives in the U.S. and is considered the organizer of the coup. In conditions of intense confrontation with the West the Turkish leader is trying to play the Russian card in order to weaken pressure from the US and the EU and avoid external isolation. But Moscow is also playing its card: By restoring relations with Ankara it receives a new lever to influence the situation in the Middle East and other strategically important regions and it shakes up the Western anti-Russia coalition. Erdogan's visit to St. Petersburg will essentially mean his return to the international arena. After the failed coup on July 15, leaders of key Western countries not only did not meet him, but almost refused to speak with him on the phone. Moreover, external pressure on Ankara with the demand to prevent any further political repressions is growing every day. UN Secretary General Ban Ki-moon has joined Western criticism of Ankara. On Aug. 1 Deputy Spokesman for the UN Secretary General Farhan Haq said that Ban Ki-moon had spoken to Turkish Foreign Minister Çavuşoğlu and President Erdogan, calling on them to respect human rights and to avoid "inappropriate treatment" of the detained. But Moscow's reaction to the recent events in Turkey is significantly different from the stance taken by most Western countries and the UN. Moscow is refraining from any type of criticism of the Turkish government that could be interpreted as a "lesson in democracy." In this situation Erdogan's attempt to play the Russian card in his confrontation with the West is becoming not only natural but practically inevitable. According to the Turkish government, the renewal of top-level contacts with Russia while dialogue with the West is rapidly diminishing should not be viewed as a sudden change of foreign policy priorities for Ankara. In an interview with CNN Türk, Çavuşoğlu said: "There are those who are worried by our normalization of ties with Russia. Our relations with Moscow are not an alternative to relations with NATO or the EU." Erdoganu2019s apology to Moscow: Is it sincere? However, experts from the Kommersant newspaper believe that by obtaining his demands from the U.S. and the EU, Erdogan can very well use his relations with Russia for achieving the most crucial objective for Turkey's foreign policy today: weakening pressure from the Americans and Europeans and avoiding international isolation. "Although there will be no radical change in relations between Moscow and Ankara, President Erdogan is actively trying to play the Russian card,” explained Andrei Fyodorov, former Russian Deputy Foreign Minister and director of the Center for Political Studies. “It is extremely important for him to obtain guarantees that during the G20 Summit in China in September he will not become an outcast. This is one of the reasons for his upcoming visit to St. Petersburg," he said. The second reason for Ankara's rapprochement with Moscow is the suspended issue of Turkey's future relations with the EU. "The implementation of the refugee agreement is extremely important for Europe, which is shocked by the inflows of immigrants. This is why Erdogan's blackmail may work in certain conditions,” said Fyodorov. “But in the event the Turkish government introduces the death penalty, Europe will be forced to tear up the agreements with Ankara. Then relations with Russia, which will not react so harshly to Turkey introducing the death penalty, will become a compensation mechanism for Ankara." 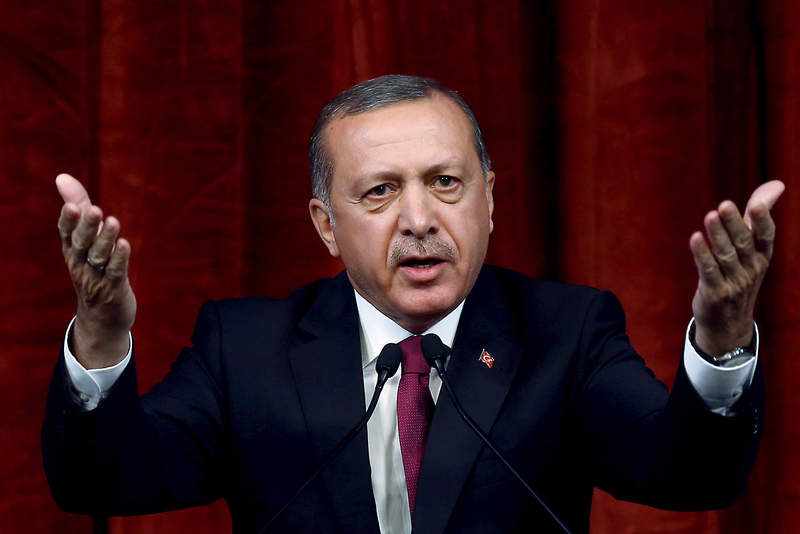 "President Erdogan's game is completely foreseeable. He has found himself isolated from his Western allies, even though Turkey does not intend to break off relations with NATO or the EU," said Viktor Nadein-Rayevsky, senior scientific collaborator at the RAS Institute of World Economy and International Relations. "The Turkish leader needs an instrument for pressuring his allies and Russia is perfect for this. Especially since it is impossible to wage war simultaneously on several fronts – with the West, with Russia and in the Middle East." For pragmatic reasons Moscow also needs Ankara – both in Syria, where Turkey's position is still very influential, and in the Caucasus, as well as in the energy sphere. For Russia the revival of the Turkish Stream gas pipeline project could become a lever for pressuring the EU government, which is in no hurry to launch the Nord Stream-2 pipeline (from northwest Russia to Germany), a project that is strategically important for Moscow.